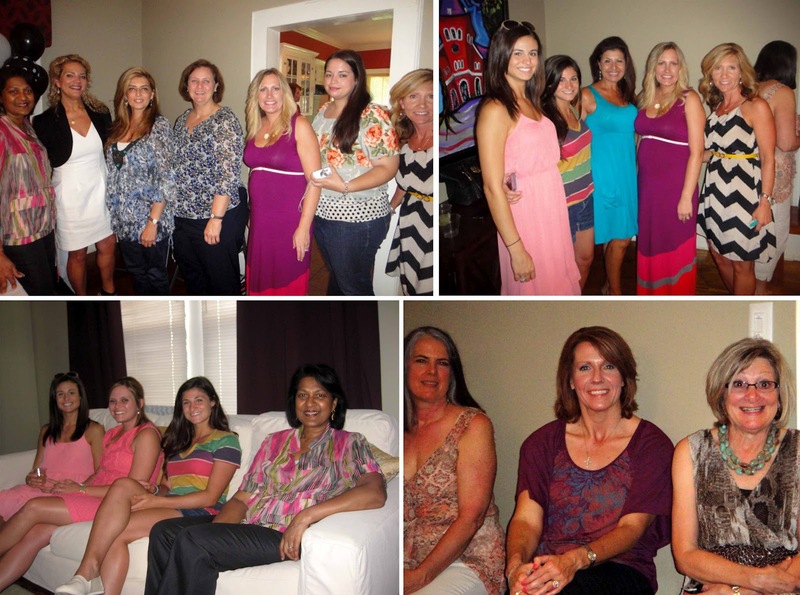 One of my best friends, Leslie, hosted the shower and had such a creative spread of delicious treats. Her husband owns a local Lafayette bakery, Twins, and they supplied some of the treats...thank you guys for your amazing desserts! 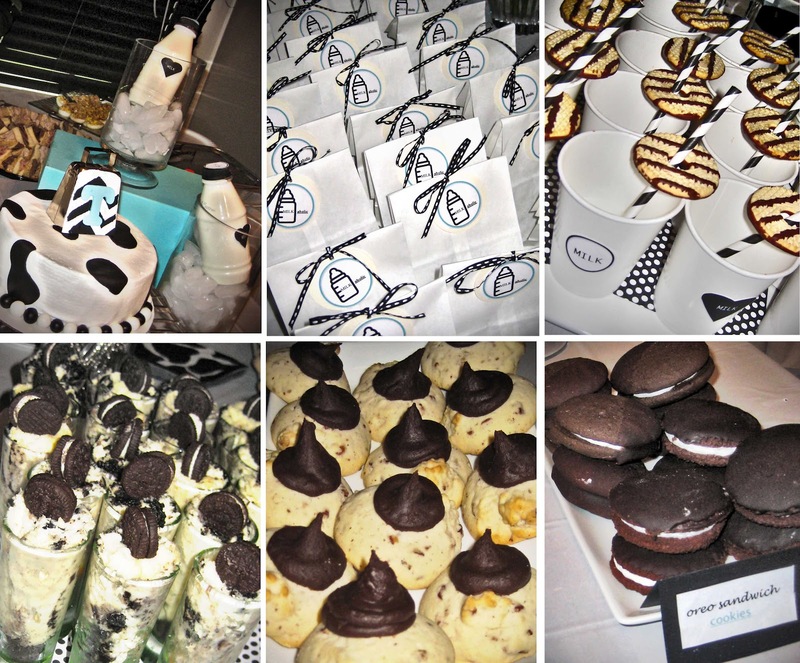 There was cake, brownies, cheesecake in a glass, oreo sandwich cookies, cookies, powder donuts, white chocolate pretzels, and a few other baked goods to enjoy with our cups of MILK! There were also sandwiches, deviled eggs, and chicken tenders in case someone doesn't have as much as a sweet tooth as me. 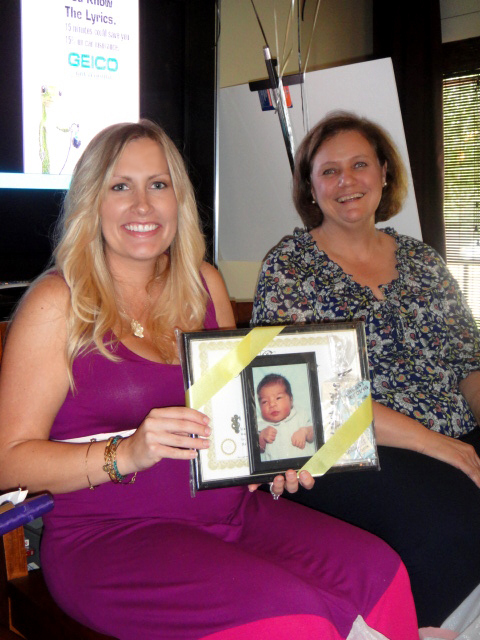 Guests were asked to sign an ultrasound picture that was later framed and given to me to hang in the nursery. 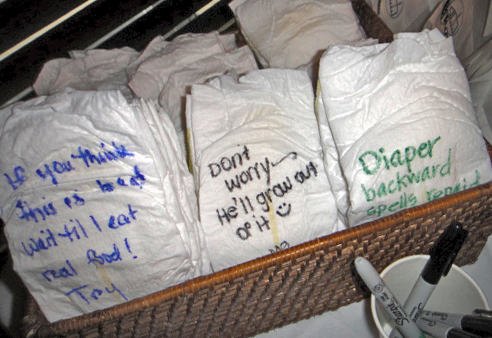 They were also told to write tips, inspirations, or funny quotes on diapers for us to read as we change diapers late at night while exhausted. 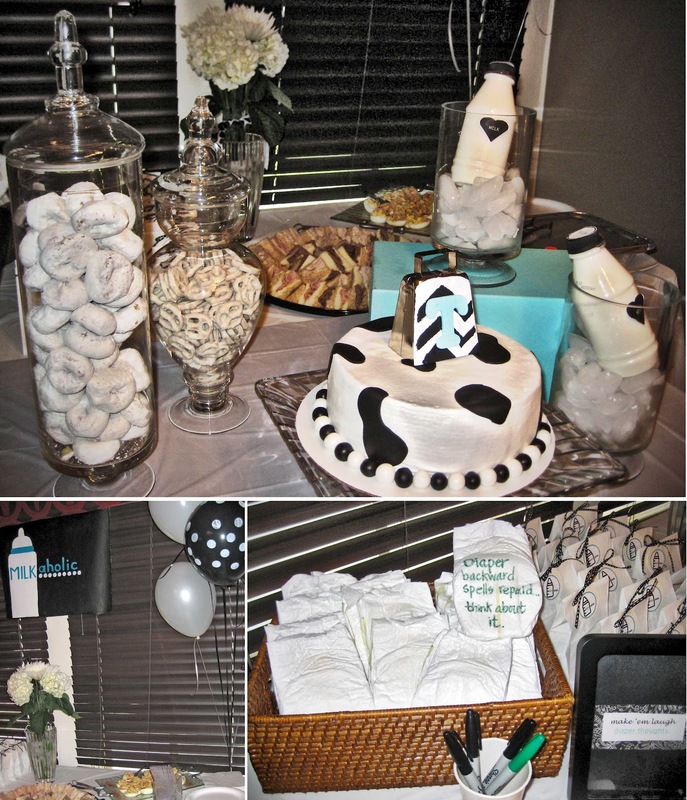 The favors were bags of Hershey's kisses with tags that said "Milkaholic" and "kisses from Baby Tag". 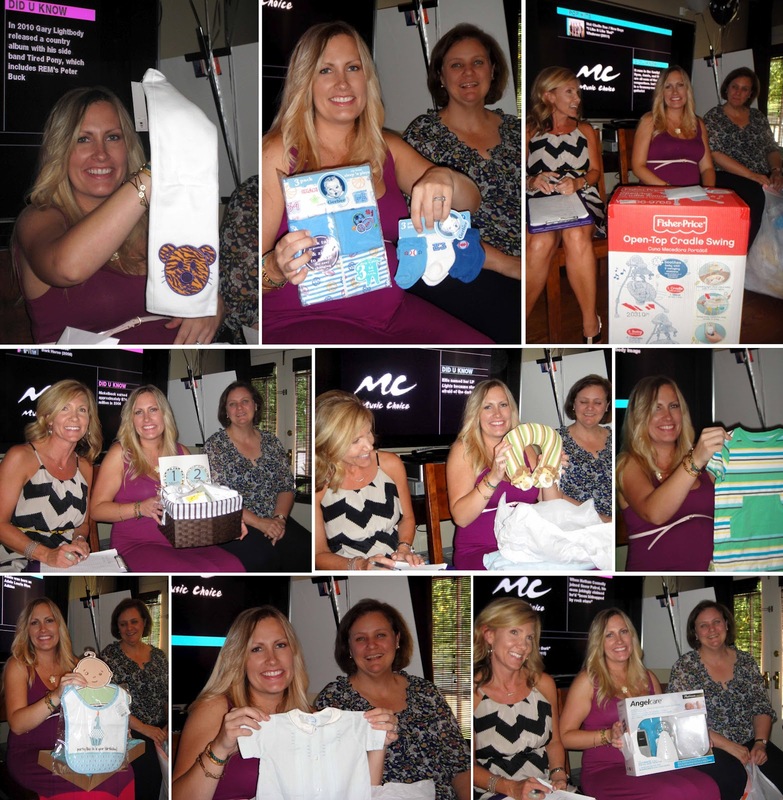 We were "showered" with some terrific gifts, and I was really feeling the love and support we have from our Lafayette family and friends. Matt's mom (Bibi) gave me his framed birth certificate and "going home" picture...hmmm I wonder if our baby will look like that ;). She also gave us Matt's going home outfit, a blanket his grandmother had made for him to use when he was a baby, and our highchair. It was hard to find a good pic of ALL three of us...see...this one cracks me up! I think we got a good one! 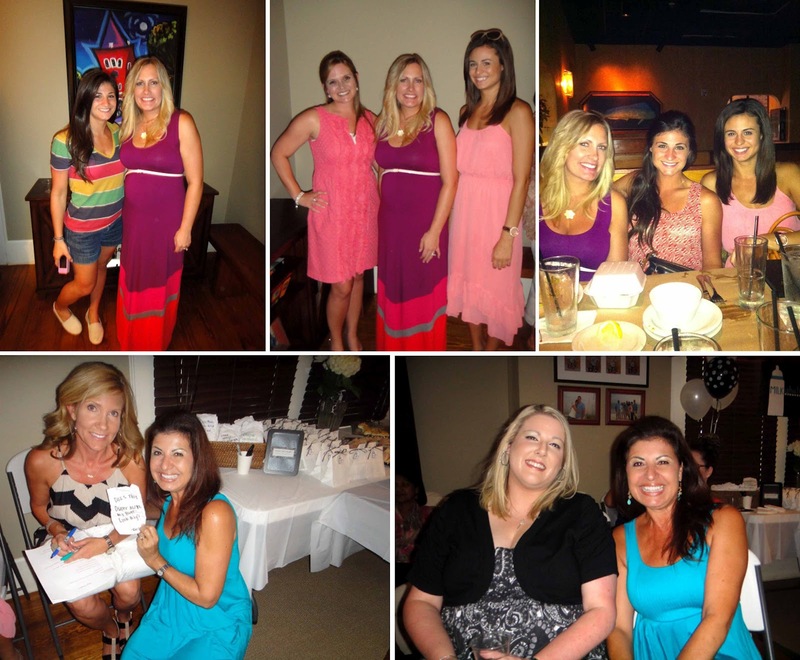 Here are a few party pics...thanks to everyone who helped throw the party and everyone who came out in the rain to see me and baby Tag! I love all of you!